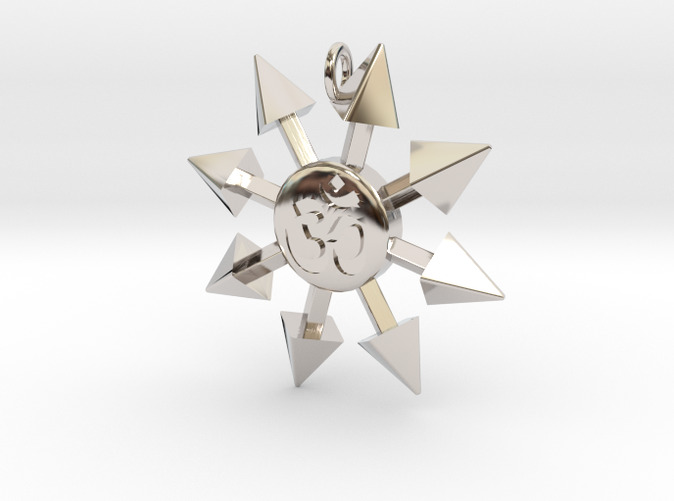 Chaos Star pendant in rhodium-plated polished brass. 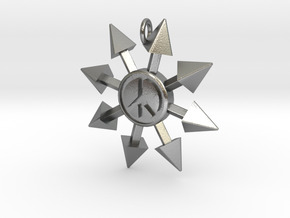 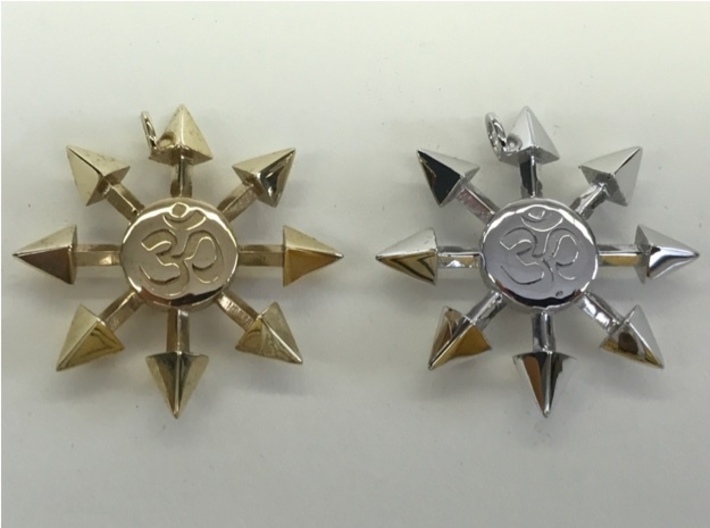 If you're wrestling with the forces of destruction, you'll want to wear this Chaos Star pendant. 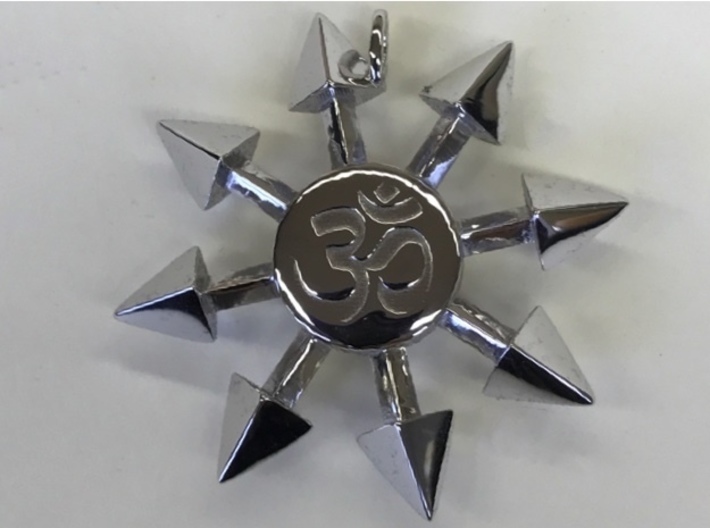 The Sanskrit "Om" symbol is inscribed in the center, to represent the peace and harmony that can be found in the center of chaos. 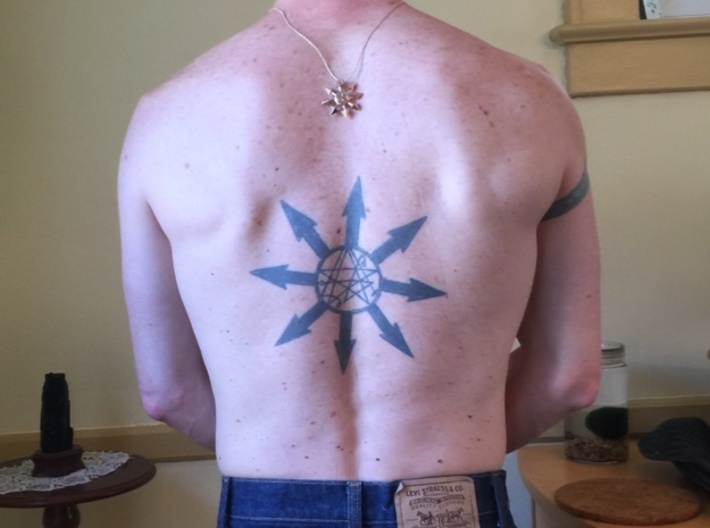 The tilt of the pendant and the loop is deliberate, since traditionally the Chaos Star is tilted 15 degrees (to the extent that Chaos has a tradition). 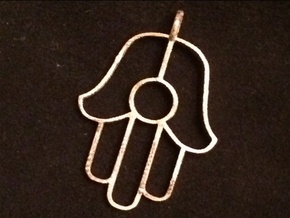 This pendant is about 35mm (1 1/2") across. If you prefer it without the engraving, you'll find it here.